Now you can use the H&Co fonts you love to publish apps, digital publications, eBooks, and more. 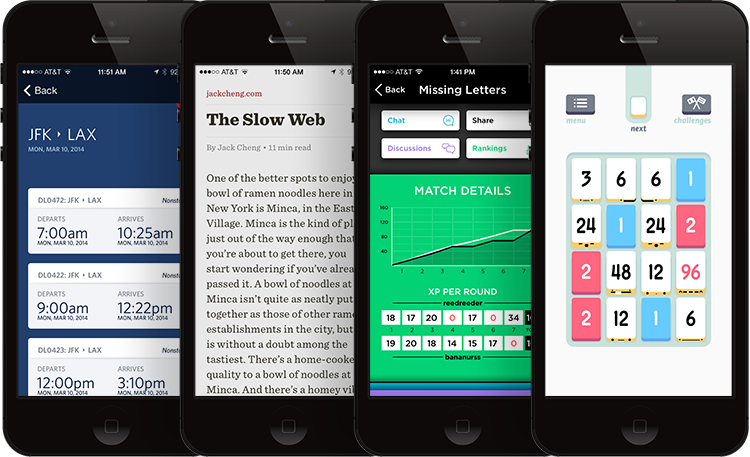 Meet App.typography, the simple font licensing solution for digital publishers. App developers lavish such care creating thoughtful, lovely experiences, places where users can return again and again, and always feel at home. For all the time we spend browsing the web, we’re spending more and more time using our devices’ native apps, a trend that’s poised to continue with the arrival of mobile-minded projects like Facebook Instant Articles and Apple News. The one thing that all mobile experiences have in common is type, making it more important than ever to get the type right — to use the right fonts to create the sophisticated, expressive environments that users deserve. 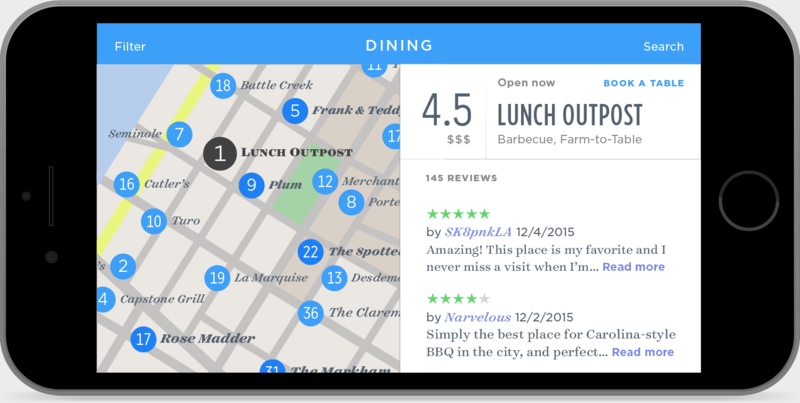 We’ve long worked with our clients to bring typography into the mobile space. For some, it means developing cross-channel typography that aligns their print, web, and mobile products; for others it means choosing fonts that solve problems, and help shape the user experience from the outset. We’ve found that the needs of designers, developers, publishers, news organizations, institutions and brands are all a little different, but what everyone wants is for type to be functional, and for licensing to be painless. We want these same things, and more: we want to furnish app developers with the same high-quality tools available to print and web designers. We want developers to have access to everything that a font family has to offer, to be free to match the font to the medium and the experience, and to be relieved of having to count styles, platforms, or downloads. In short, we want to do everything for app developers that Cloud.typography did for web developers, allowing people to use their existing H&Co libraries in a whole new way. App.typography is a service that enables you to publish apps, digital publications, or eBooks that incorporate any of the H&Co fonts you’ve bought for your computer. It’s a new model for licensing fonts, one that’s based not on the number of font styles that you choose to embed, but the number of titles that you publish. For developers, App.typography means the freedom to choose from whichever fonts you’ve bought, including as many styles as necessary to create the perfect experience. We’ve defined “an app” in the broadest possible way, so that the product you create for iOS, Android, and Apple TV — even if the versions for the Apple Watch and the Samsung Galaxy Tab don’t share a single line of code — is covered by a single App.typography subscription. For publishers, App.typography offers the ability to port your existing typography to digital publications and eBooks, to distribute these in a vast array of different formats, and to cover all of the books that you publish under a single imprint. Use as many fonts as you’ve purchased, to publish as many books as you like, and see them downloaded as many times as possible, all with a single App.typography subscription. An App.typography subscription covers all the H&Co fonts you’ve purchased for your computer, and all the fonts that you buy in the future. This extends to the entire H&Co library of more than 1,300 styles, including our nineteen families of ScreenSmart fonts that are specially designed for the screen. You’ll find countless solutions for app design in the H&Co library: fonts with tabular figures for game scores and activity timers, compact fonts for narrow columns, and high-performance text faces for extended reading. Spend some time at Discover.typography if you’re looking for inspiration, or get started with App.typography today. In search of the perfect form for each of a font’s thousands of characters, typeface designers sometimes encounter questions that have more than one answer. Perhaps a flowery capital Q captures a font’s elegance, but one with a shorter tail is more practical when there’s no room for flourish. Perhaps a smart and serious typeface suddenly becomes cool and playful, with a subtle alteration to its lowercase a. H&Co loves making typefaces that offer different voices, and ones that anticipate and solve problems, which is why we’ve long furnished our desktop fonts with alternate characters that offer designers stylistic and functional options. 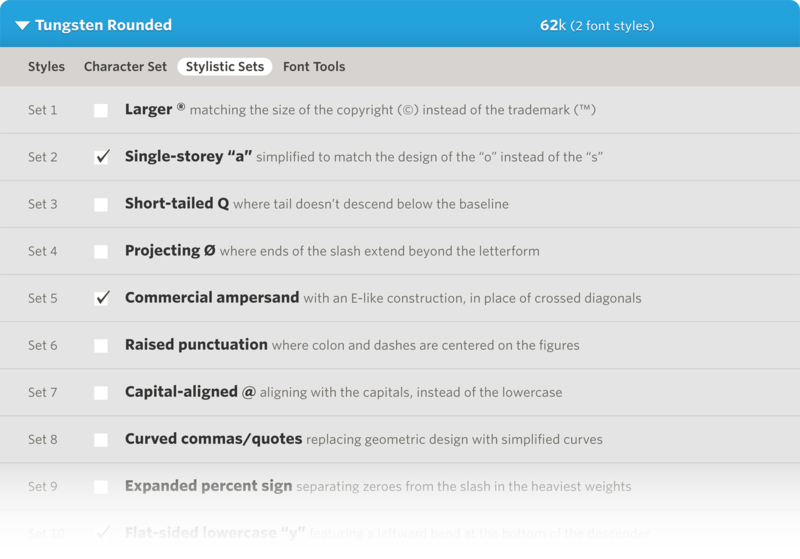 Starting today, Cloud.typography users can achieve this same sophistication on the web, fine-tuning webfonts using a powerful OpenType feature called stylistic sets. Uniquely, we’ve implemented this feature so that it works not only in cutting-edge browsers, but in all browsers that support webfonts, so that your typographic preferences can be a fundamental and consistent part of the way you work with type. These adjustments are known as stylistic sets because they allow related transformations to be grouped together and controlled by a single switch. The “curly commas” option in the Whitney typeface affects not only the comma, but the semicolon, and both the open and closed forms of the single quotes, double quotes, and baseline quotes. The ability to manage complex adjustments with a single checkbox makes it easy to ensure consistency across your typography: not everyone would guess that turning on Whitney’s flat-sided M would change not only the capital and small cap forms, but also the symbols for trademark (™) and servicemark (℠). Cloud.typography now supports even more integrated browsers, like the ones built into web development tools and mobile apps. Cloud.typography is designed to identify the type of browser viewing a web page, and to respond with exactly the right kind of fonts. This offers advantages in terms of both render quality and filesize: IE6 for Windows gets the additional help it needs to render small type crisply, and Safari for iOS gets fonts that aren’t encumbered by excess data. Now, we’ve supplemented Cloud.typography’s long list of browsers and font types with a safety net, designed to deliver industry-standard woff files to any browser it doesn’t recognize. As a result, you’ll now see webfonts in new places, from the browser built into the Google app for iOS, to the preview tool inside Coda, the great web development app from Panic. Now you can install H&Co fonts on your iPhone and iPad, and use them in applications that support fonts. Great mobile apps like Pages, Numbers, and Keynote make it easier than ever to use your iPad and iPhone not just to consume content, but to create it. Typography, a long-missing piece of the puzzle, just got a lot better: starting today, your iOS 7 devices can use all the Hoefler&Co fonts you’ve ever purchased, and you can install them directly from this site. Free. Using Safari on your iPad or iPhone, head over to your Font Library page. You’ll see a list of fonts you’ve licensed for your computer, each with an add to device link that installs them directly into your mobile device. Managing fonts on iOS is easy — you’ll find more information about it in our FAQ. Enjoy! Pages on the iPad, using Tungsten, Gotham, Sentinel, Surveyor, and Whitney. We’re marking the change to H&Co with some updates to our font library, some new features on the site, and some good news for app developers. We’ve remastered all 1,094 fonts in our library to deliver even more consistent performance across desktop, web, and mobile environments. In the past, we’d supplied app developers with special “mobile” versions of fonts built for iOS and Android — but starting today, any fonts you purchase for your computer will be the same ones you’ll use when developing mobile apps. We’re building a new feature for the site that makes it easy to download your past purchases any time you need them, and to ensure that you always have the latest versions of our fonts. Today we’re rolling this out to our Cloud.typography subscribers, and soon we’ll be making it available to everyone. If you’re a Cloud user, log in and go to Your Font Library under the “Welcome” menu, and you’ll be able to see your entire font collection, and download the latest versions of any fonts you’ve licensed for your computer. We’ve changed our licenses to make life a little easier for app developers. In the past, developers needed two kinds of licenses: an End-User License to use fonts on their computers, and a separate App License to embed these fonts in their apps. We’ve rewritten our EULA so that anyone buying a computer license can now use these fonts to develop apps, without any separate paperwork. App Licenses are needed only when publishing an app, something our licensing group can help arrange for you or your clients. 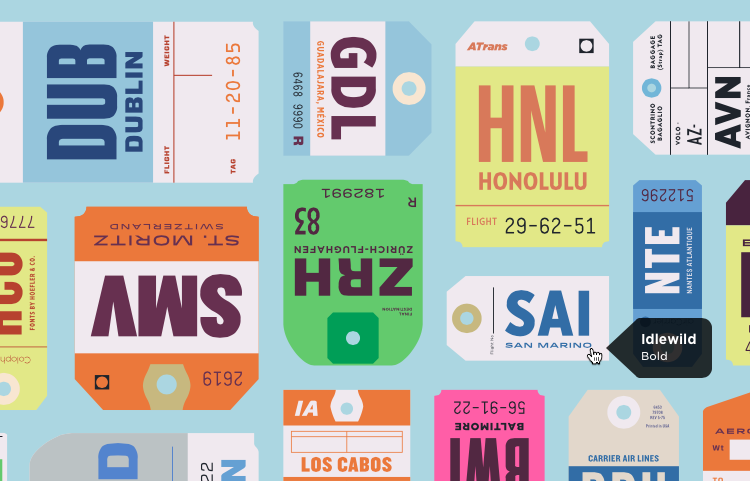 Fly Delta, Readability, QuizUp and Threes, featuring our Whitney SSm, Sentinel SSm, Gotham SSm, and Premium typefaces. We’re starting off the new month with some enhancements to site, and some good news for web developers. Here’s what’s happening. 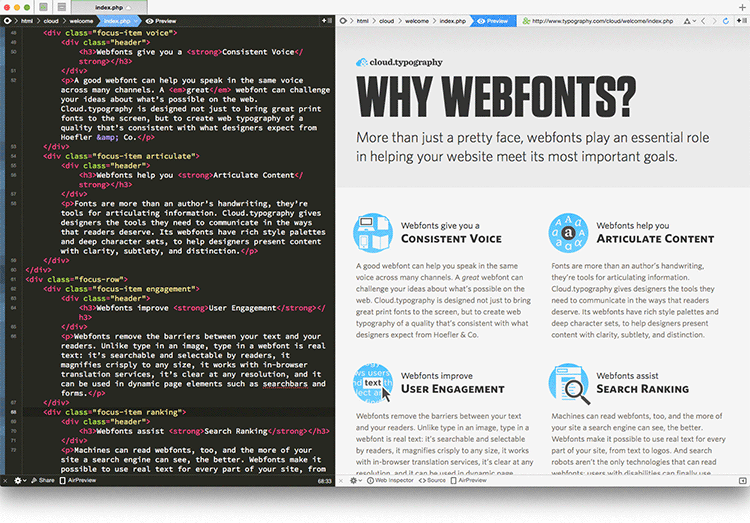 We took the occasion of writing a new Webfont FAQ to polish up our site search tools: you’ll find both resources available here. In addition to some guided tours of topics like licensing and troubleshooting, you’ll find updated answers to questions about publishing apps, making PDFs, and more. Since the tool searches across the entire site, look for some colorful surprises, in case you just happen to be searching for poodle’s paws, lightning bolts, Tupac Shakur, Zipf’s Law, or any of the three places we mentioned Steve McQueen, which science can’t explain. We’ve been delighted to see organizations of every size adopt Cloud.typography, from independent developers subscribing at $99 to high-traffic websites who measure visitors in the billions. In keeping with the range of webfont subscriptions we offer, today we’re expanding the range of desktop licenses that can be purchased online: starting today, you can license fonts online for as many as 250 computers. As always, our sales office is happy to assist organizations who need even bigger licenses. Drop us a line. One of Cloud.typography’s highlights is that it lets you deliver webfonts to an unlimited number of domains. We’ve heard from designers who enable a single domain such as example.com that traffic to www.example.com is blocked, because the www hasn’t been explicitly included. Starting today, every time you add a domain, the www subdomain is automatically whitelisted, and vice versa: adding www.example.com whitelists example.com as well. If you’re grappling with an especially gruesome list of subdomains, you can use the asterisk as a wild card to authorize them all, by adding *.example.com. 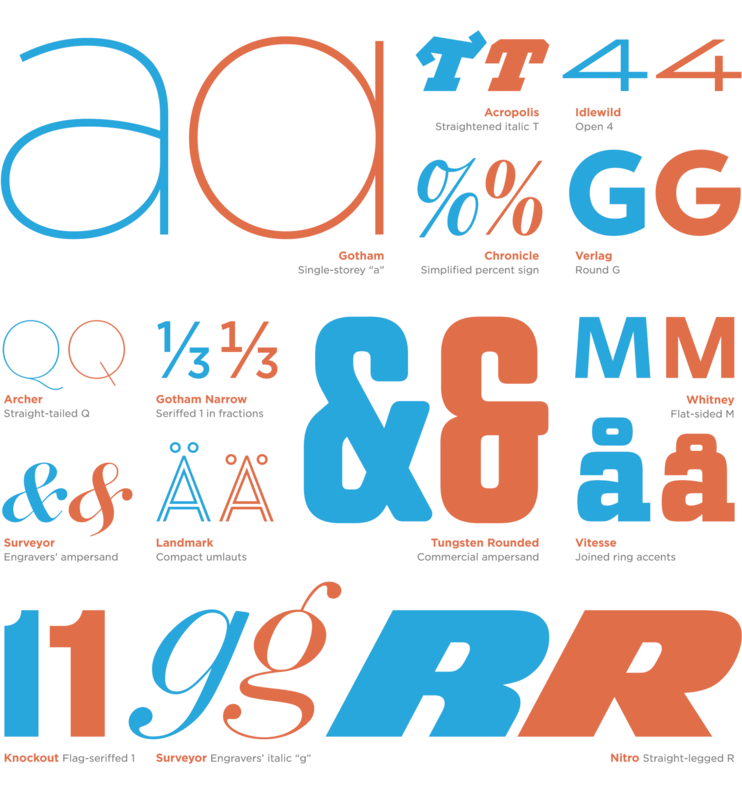 There’s more about this in the Cloud.typography User Guide.